The reality is that every society has limits on public views they don’t like. The only difference is in who defines the limits of this speech and how restrictive these limits are. Racism, national security, holocaust denial, incitement, glorification of terrorism, defamation and libel among many others, are all limits imposed on freedom of speech by many nations including those who are the loudest advocates of “freedom of speech”. These are just some of the verses of the Quran pertaining to the etiquette and limits of speech. 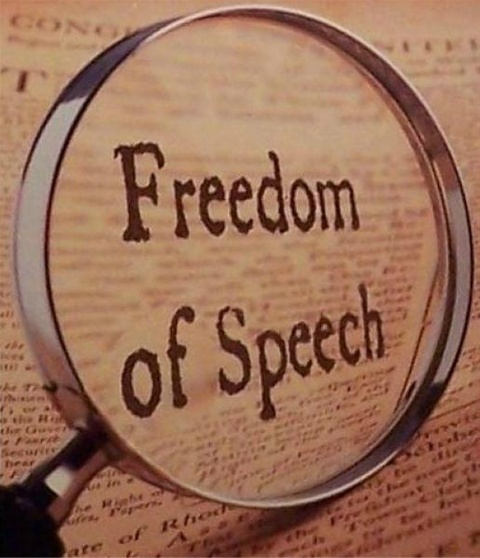 Other than unthinking, impetuous, reckless and irresponsible speech, freedom of expression must be allowed in any society for its progression and reformation. Unfortunatley, in many Muslim majority societies this is not the case. 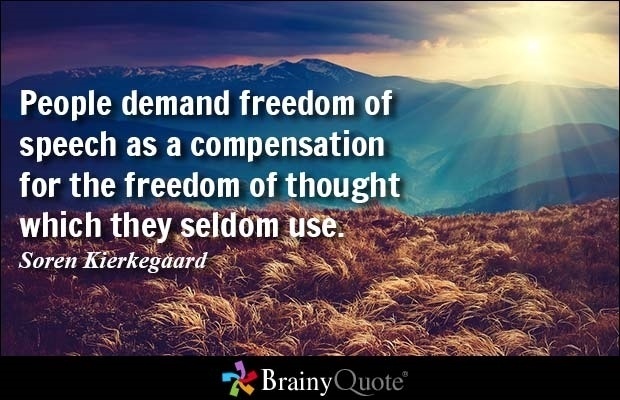 However, freedom of speech, as is commonly practiced, for most part is in contradiction to the ethics of Islam. In reality there is no such thing as absolute free speech. What exists is speech within predefined limits that differ between communities; whether in democracies or dictatorships, in accordance to whims and desires of human beings in oppostion to predefined limits by God Almighty. Nevertheless, God has given Humans the freedom to choose whatever path he or she wills and face the consequences for their choice in their hereafter (see Quran 17:15). Beware of spreading such gossip on social media. Bad language such as swearing, insulting nicknames and curses are sins. Not to insult the 'sacred' of others. God; The All Knowing, sets limit on 'free speech' but gives Mankind the responsibilty to follow or not to do so.